How to Tell if You Need Residential AC Repair | Johnson's Mechanical Inc. How to Tell if You Need Residential AC Repair | Johnson's Mechanical Inc. While there are many climates in the world that allow people to live comfortably without air conditioning, Florida is not among them. Though most Floridians are aware of a time before the invention of AC, most would also prefer not to contemplate living in such a hostile environment. 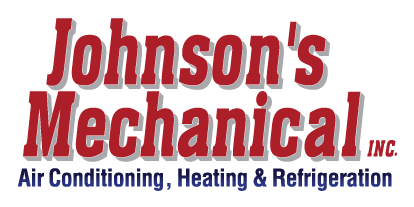 We at Johnson’s Mechanical Inc. understand that a broken or malfunctioning AC is something no one wants to have to deal with, which is why we strive to provide quick and effective residential AC repair services. Our team wants to help you keep your AC unit in good shape, which includes addressing problems before they can grow more severe (and expensive). To help you tell as early as possible if you need AC repair, we’ve put together this brief list of signs to look for. Strange Noises- While all AC units make some noise, in a properly functioning system, that noise should be fairly quiet. Loud sounds such as screeching, squealing, or grinding are a strong indicator that something has come loose in your unit and requires AC repair. Weak Airflow- Another strong indicator that you may need AC repair is weak or insufficient airflow. If you put your hand to the vent while the AC is running and don’t feel a substantial current, there’s a good chance that all is not well with your unit. Call our team at Johnson’s Mechanical Inc. for a professional assessment if you notice this issue with your AC. Increased Energy Bills- A more subtle sign of an ailing AC unit is high energy bills. This one is harder to pin down because there are many possible reasons for increased energy usage, but if your bills are noticeably higher and your energy usage habits are basically the same, it could be due to your AC unit losing efficiency. Although the AC technically still works in these cases, an AC repair will bring it back to optimal function and bring your bills back down. Our team at Johnson’s Mechanical Inc. will help you get the most efficient and cost-effective performance from your AC unit.